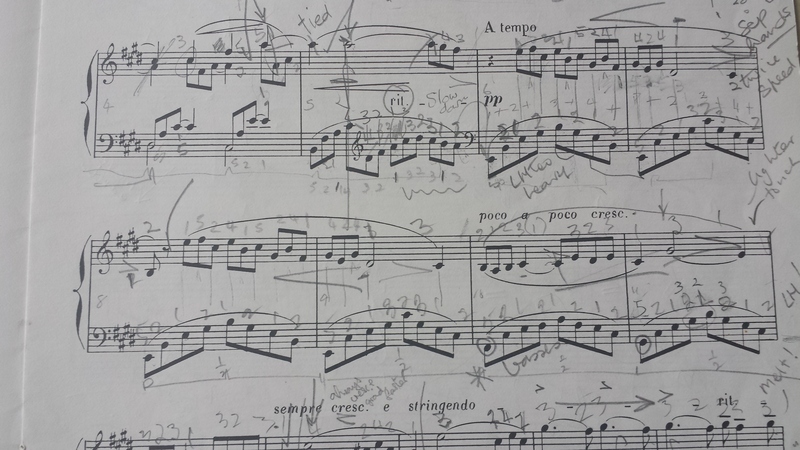 I couldn’t live without score markings. Any piece I’ve worked on intensively will be so covered with pencil markings that if I wasn’t already familiar with it, I might actually find it hard to read! When I do metronome practise setting the metronome up a step each time, I used to always write down the point I was currently up to in a notebook so I could pick up where I left off. I can’t believe I never thought of writing it into the score until fairly recently. Since I learn pieces in sections, this is far more convenient than having to write down bar numbers in a notebook every time! That’s great Dorothea, score marking is essential as you point out. Some of mine are really covered in pencil too!